Welcome to “Ambrosia garden”. Enjoy unique moments in our environment. According to Greek mythology, Ambrosia was the food of the 12 gods on mount Olympus. In our days it still synonymous to excellent and refined nourishment. The hospitable and familiar atmosphere, the beautiful surroundings, the excellent food, the variety of fine wines and the lush green garden will help you to relax and to enjoy peaceful moments in Ancient Olympia that will stay with you forever. To ensure you will have a better dining experience, please take 2 minutes to reserve your seats. Our restaurant “Ambrosia Garden” is situated in an ideal environment where nature meets history and culture. In its pleasant surroundings you will enjoy delicious dishes taken from traditional recipes, all prepared with fresh ingredients that will surely take you to unique highs in culinary pleasure. The restaurant “Ambrosia Garden” is located near the entrance of the new Archaeological Museum of Olympia. In the museum visitors can see some of the most important exhibits of the world including the famous Hermes of Praxitelis and the sculptural decoration of the Temple of Zeus. Ancient Olympia today attracts thousands of visitors from around the world. Characterised by the beauty of the landscape and the many attractions and archaeological findings, echoing the historical past and continuing to be an area of great importance -centre of global concern- as the birthplace of the Olympic Games and the Olympic ideal guardian. 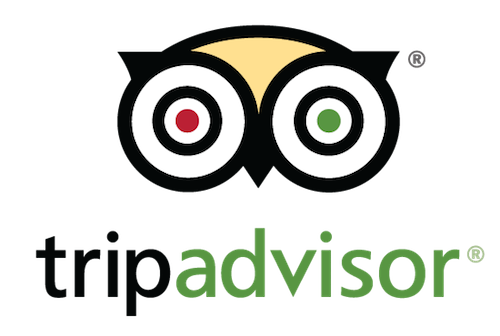 Excellent service and great authentic Greek food! It was recommended to us by the locals and it was a winner!! They also had free WIFI even our children loved it. You won't be disappointed here. The owner came by and was very friendly. I highly recommend Ambrosia for a great lunch or dinner. A restaurant that can welcome a group of 30 students and their teachers without a reservation and serve them a delicious lunch without delay is worthy of an enthusiastic recommendation. 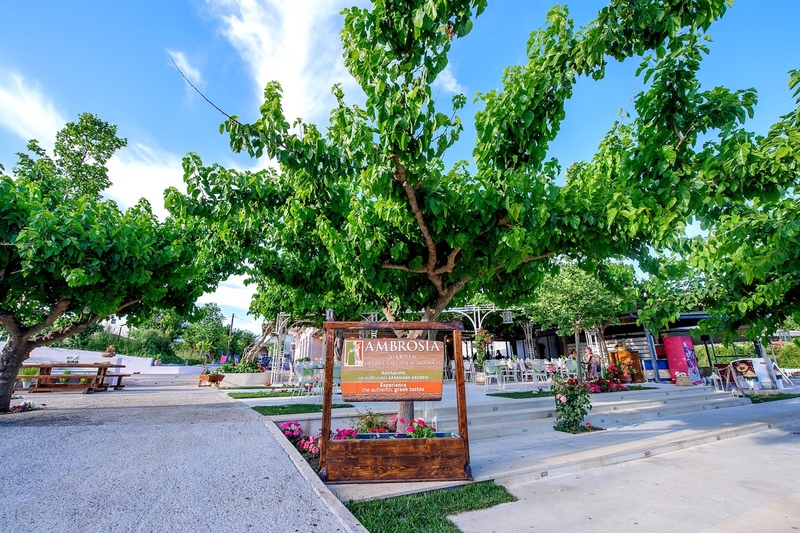 Conveniently situated across a small stream from the Olympia Museum, the Ambrosia is the perfect retreat after a morning walking around the ancient site and museum: here in the shade of a spreading tree, vines and market umbrellas, one can savour typical Greek cuisine and relax. The hosts are very hospitable and are evidently experienced at providing efficient, friendly service at a moment's notice. There is a car and bus park nearby, and just beyond that is the town of Archea Olympia. I would recommend the Ambrosia and will certainly take my group of classics and art history students there next time we visit. We loved the food, the service and of course the location. It's next to the archeological museum and every visitor could find it easily. The traditional food could be one of the best I have ever tried. This tavern is a great choice!!!!! So very nice. And we had a group of 40! This past June I took some students overseas. Olympia was one of our wonderful stops. The shaded area for dinning was so nice; birds were flying everywhere. It was sort of entertaining for the students. The food was wonderful. All of my picky students were able to find something on the menu they enjoyed. Coming from Rome it was nice to have something other than pizza. I ordered the stuffed grape leaves as a meal. I must say they were the BEST I have every had. The service was friendly and fast. They go our large group in and out in no time. There is a small souvenir shop attached to the restaurant. I was impressed with how efficiently they broke up our checks. Not many restaurants like to do this for the patrons. Just a wonderful place. Atmosphere and food! When in Greece please make sure to keep plenty of cash for the restaurants/shops. I advise to do so because they would rather have Euros and sometimes even US rather than to swipe a card. They can only do so much credit per day in Greece. Or so we were told. After my visit two years ago I was looking forward to have dinner again at Ambrosia Garden. It was totally worth it: the garden is very relaxed, not only because the exterior design but also thanks to the generous space between the tables. Evi and Harris, the owners, were very kind as usual and their recommendations couldn't be better: very tasteful pork in traditional Greek style accompanied with delicious potatoes. The opening Greek salad was a total delight, very fresh and tasty,same as the fruit salad at the end. Of course we left looking forward to our next visit.